Web visibility is of vital importance to any web business, be it e-commerce or otherwise. The visibility of your website is one of the key focuses of search engine optimisation.SEO will increase your web visibility through by improving the rankings of your websites in search engine results pages (or ‘SERPs’). 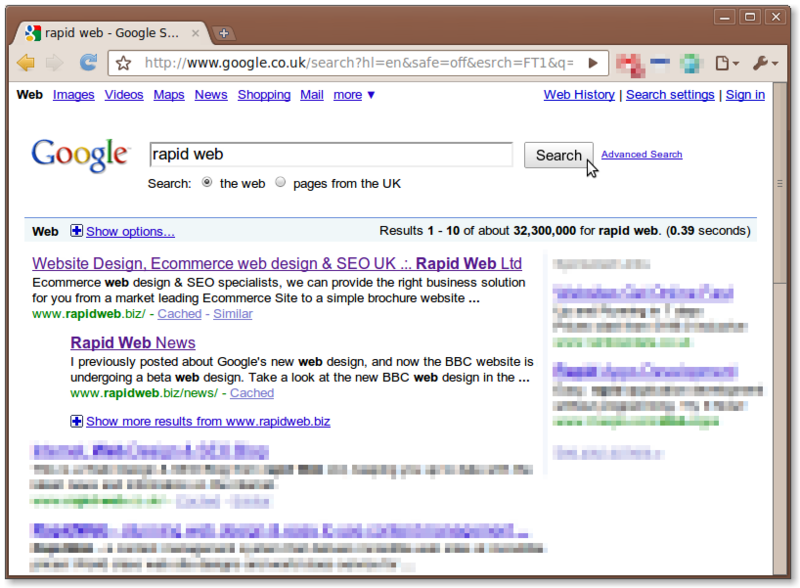 SERPs are the pages you land on, as an Internet user, when you enter search terms into an online search engine. They present a list of web page results which are linked is order of relevance, from most relevant to least relevant, in accordance to the keywords you have entered. Obviously, having a having ranking in these results pages will increase your website’s overall web visibility, whilst a lower ranking will decrease its visibility. If you want to increase your web visibility in SERPs, you need search engine optimisation. For more information about search engine optimisation, take a look at some of the following blog posts. Alternatively, you can view all our search engine optimisation articles, read about the SEO services we provide, or simply contact us directly.